The A-frame is a classic structure with an airy, geometric style that fit perfectly with midcentury sensibilities. 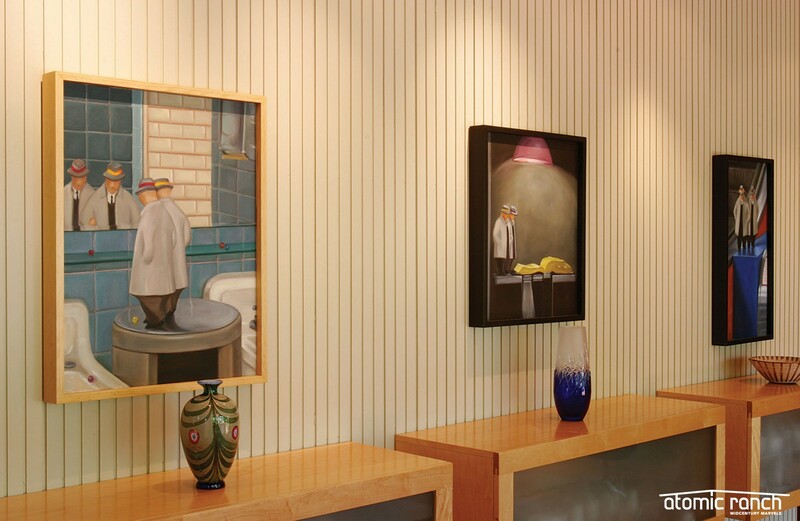 Painting interior frames in contrasting colors to the walls and ceilings highlights the sharp angles. This homeowner extended his framing to create an outdoor space that mimics the structure of his A-frame home. 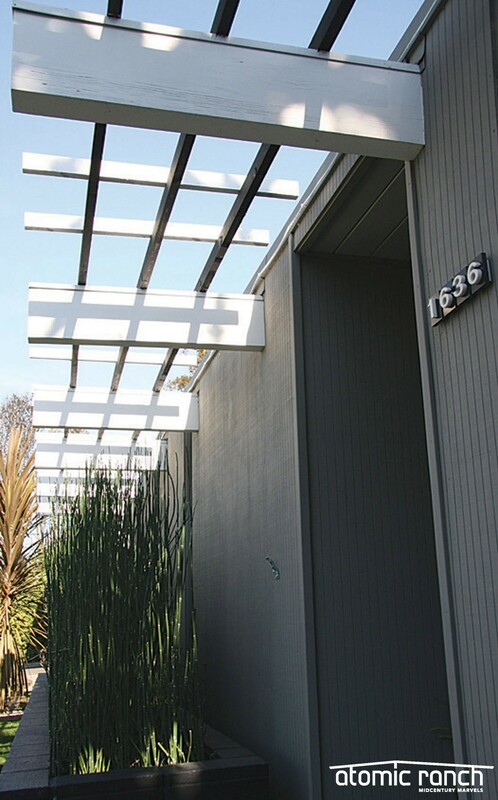 These homeowners installed Eichler-style paneling when they renovated their home. Inside or out, wood paneling is a striking detail in MCM homes. Painted in dark colors or stained in natural tones, the paneling can add a touch of the outdoors and give a serene quality to a room. 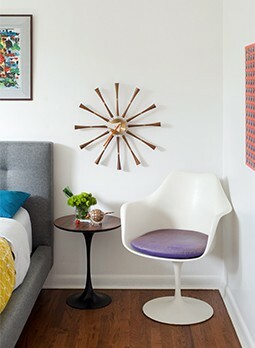 In this home, a newly built dining room is given midcentury styling with the addition of this Eichler-style paneling in light tones to offer an ideal gallery-like backdrop for the homeowner’s artwork. 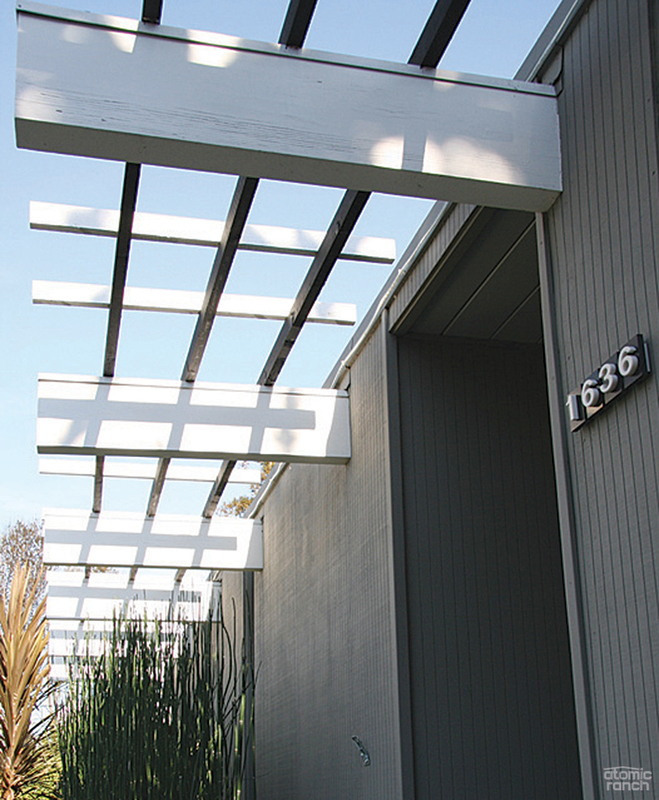 The homeowners replaced the missing latticework to finish off the exterior’s update. From flooring to built-in cabinetry to paneling and exposed beams, woodwork is a staple in modern homes, adding a craftsman’s touch and natural texture. This home’s beams, paneling and latticework exemplify the understated beauty of modern woodwork.